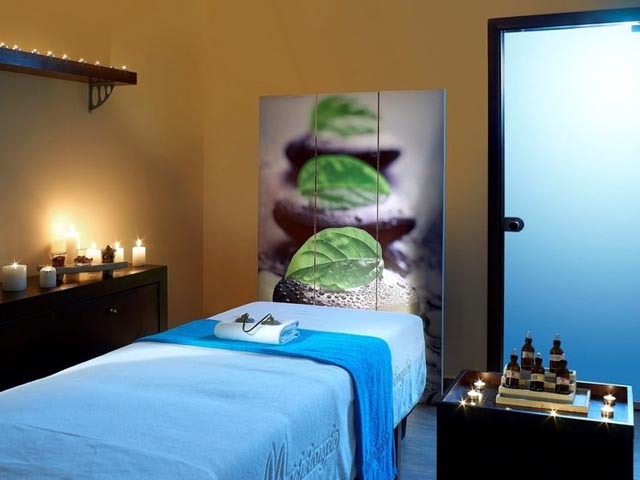 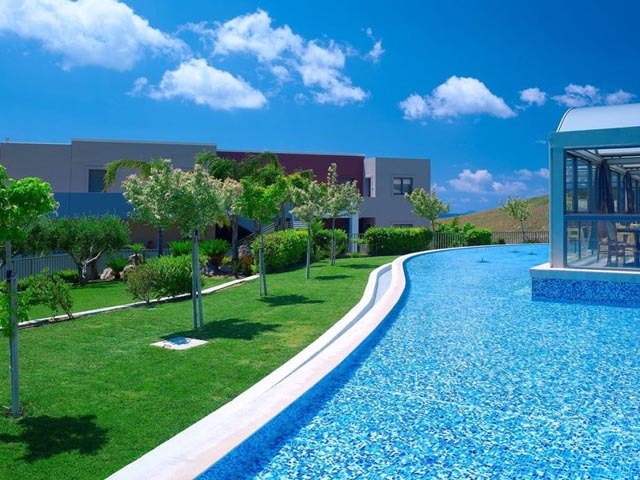 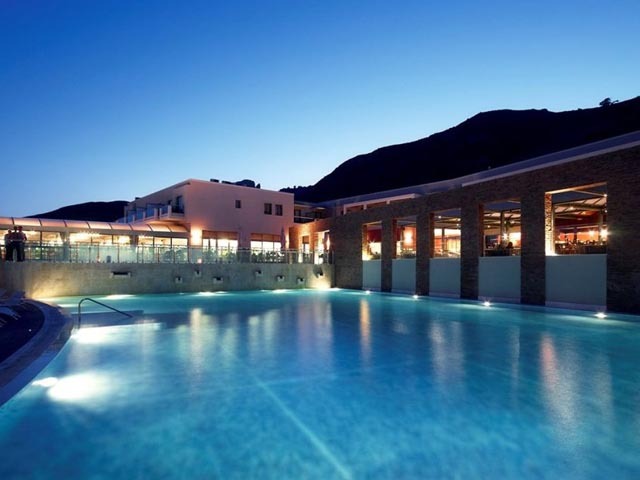 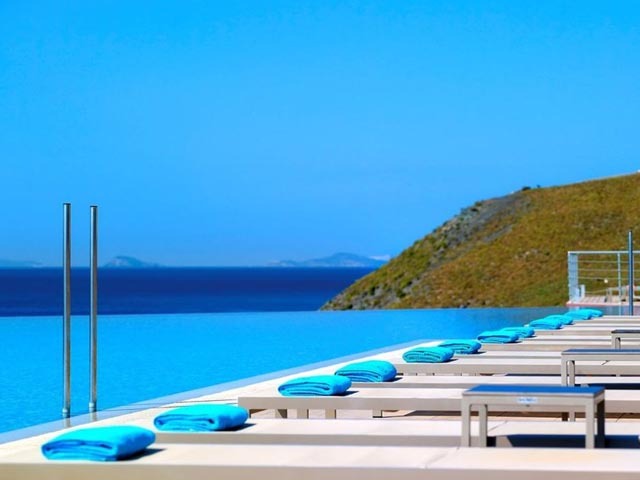 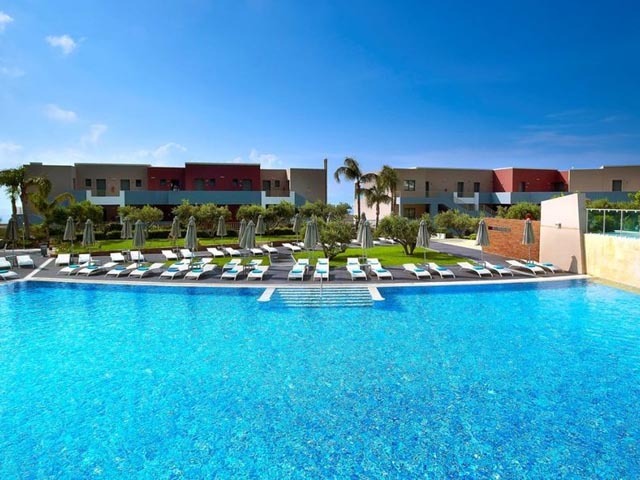 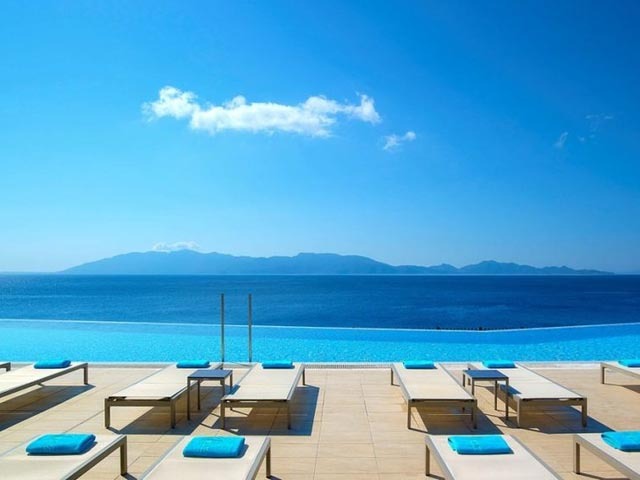 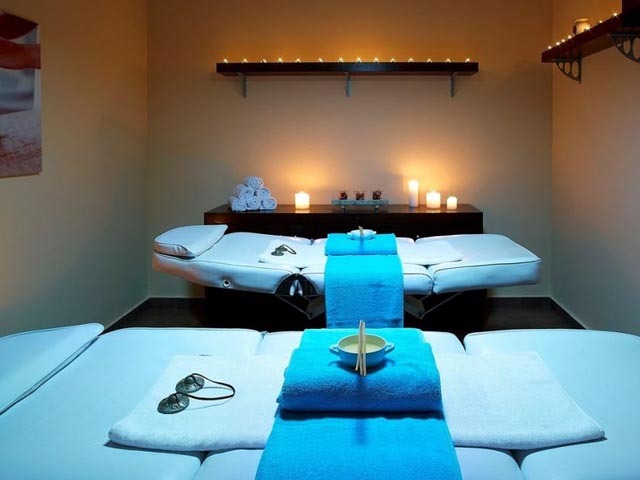 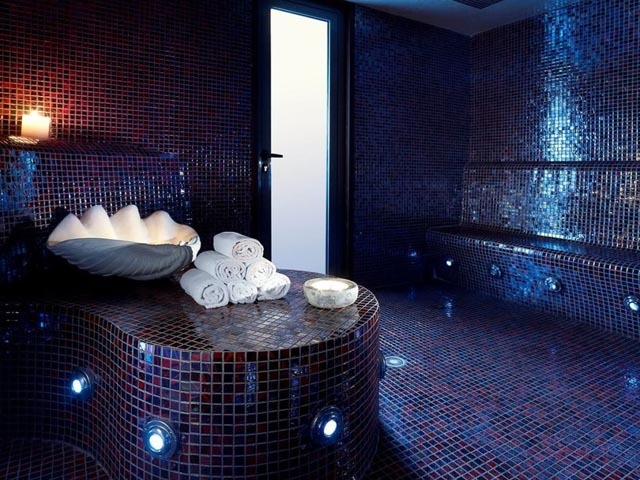 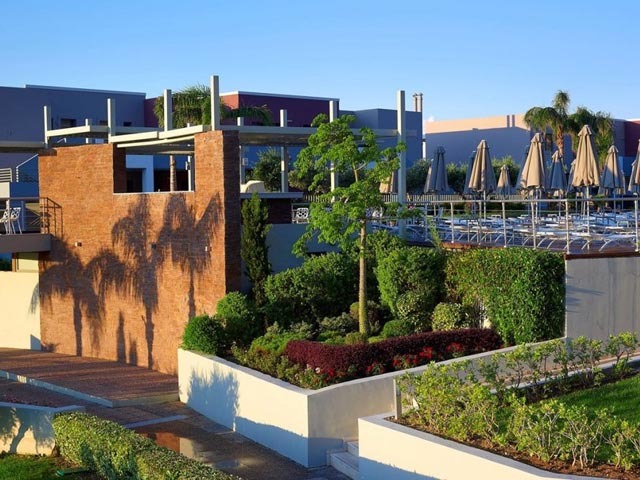 Michelangelo Resort & Spa is an exceptional 5 star hotel in the island of Kos. 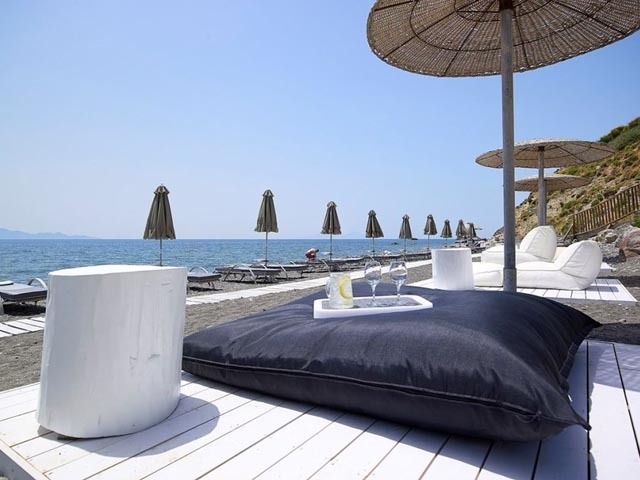 Nestled in the renowned coast of Agios Fokas and just a 30 min drive from Kos International airport (KGS), our luxurious beachfront resort offers superb views to the Aegean Sea. 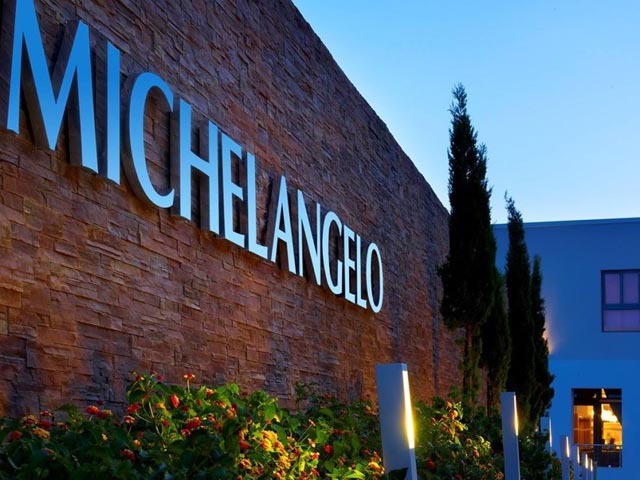 A luxurious resort in Kos Island with exceptional charm, architecture and style, Michelangelo is the perfect hideaway to combine elegant accommodations with the finest cuisine and a soothing retreat for the senses. 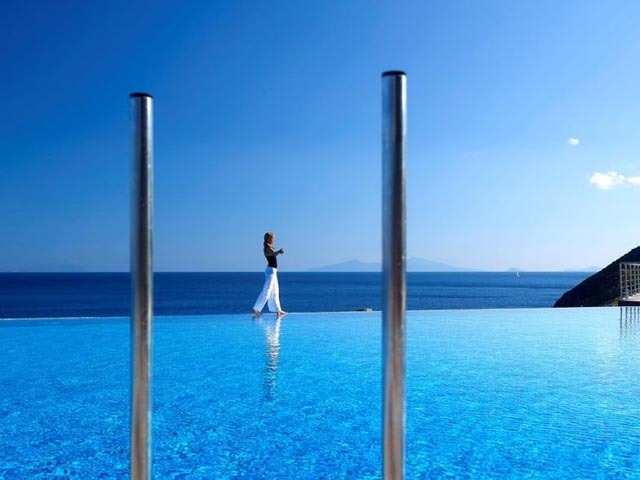 We invite you to discover an enchanting island in Greece. 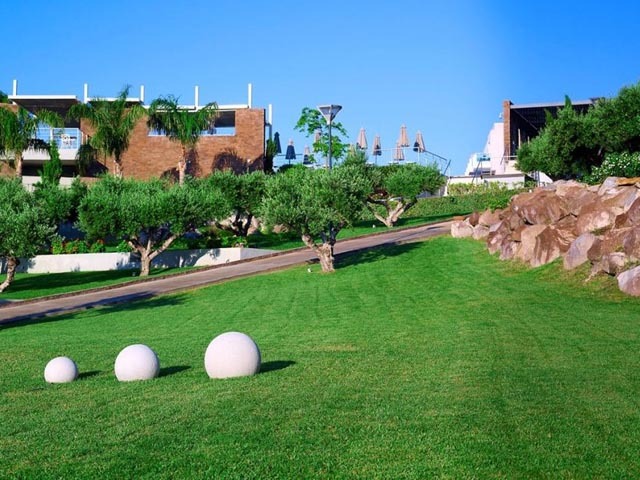 Recently constructed (in 2009), covering approximately 45 acres of land, surrounded by modern gardens and small room blocks most of them overlooking the sea. 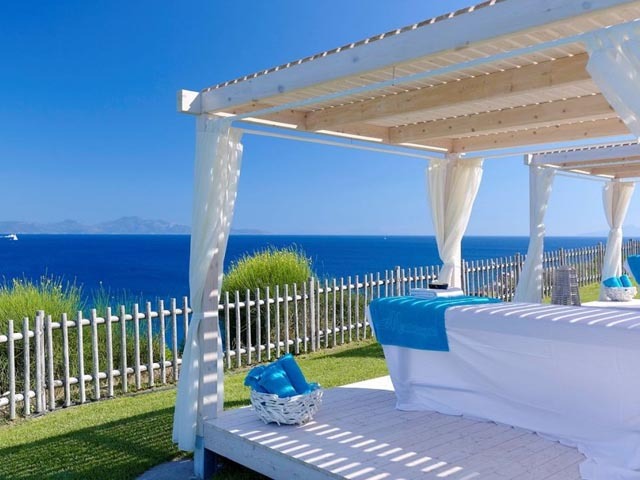 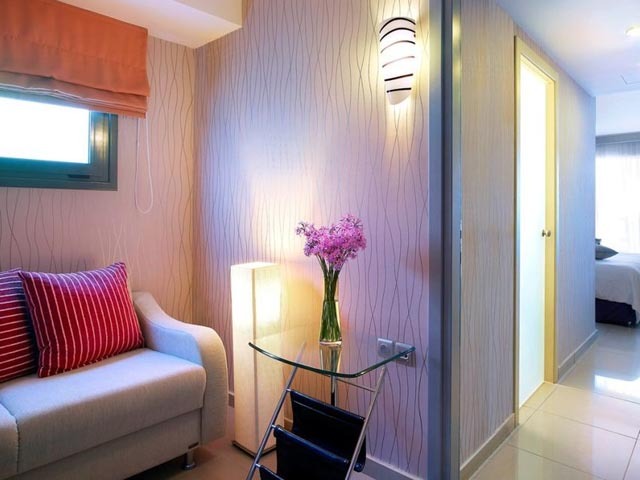 Peaceful environment located in a perfect spot for a seaside holiday. 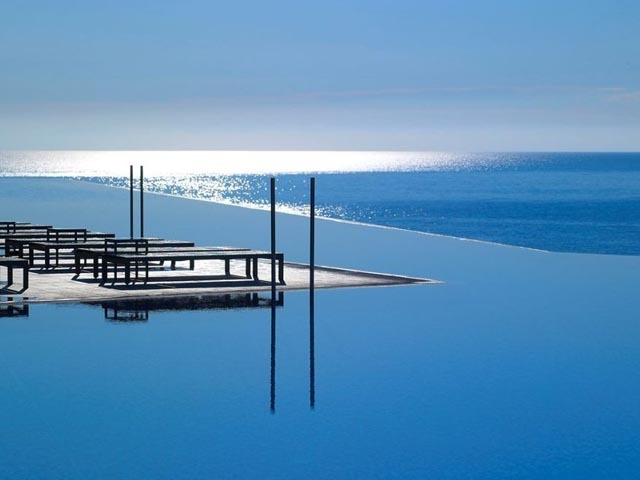 The Mediterranean bar: In the middle of the infinity pool, the Mediterranean bar is partly built in the water with in-water stools. 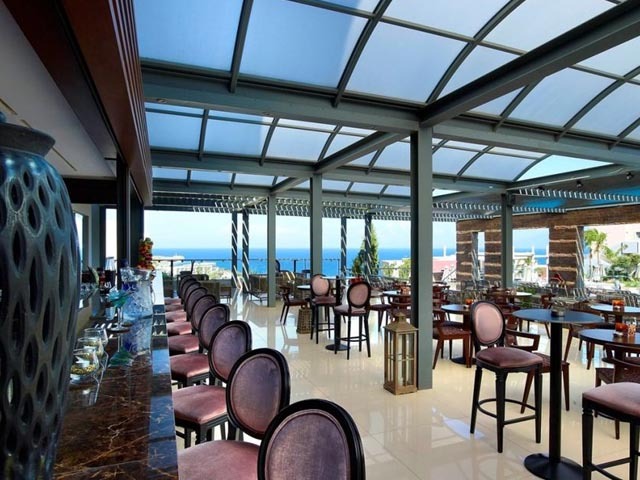 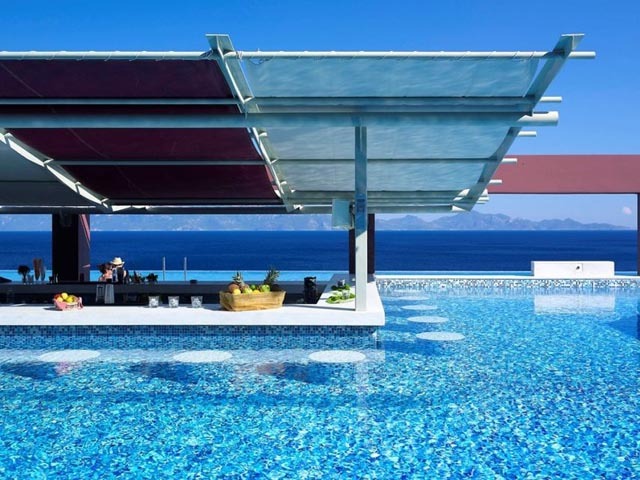 Should someone is searching for the perfect spot to enjoy a unique view of the Aegean Sea; he should then spend enough of his/her time at this bar enjoying an exotic drink. 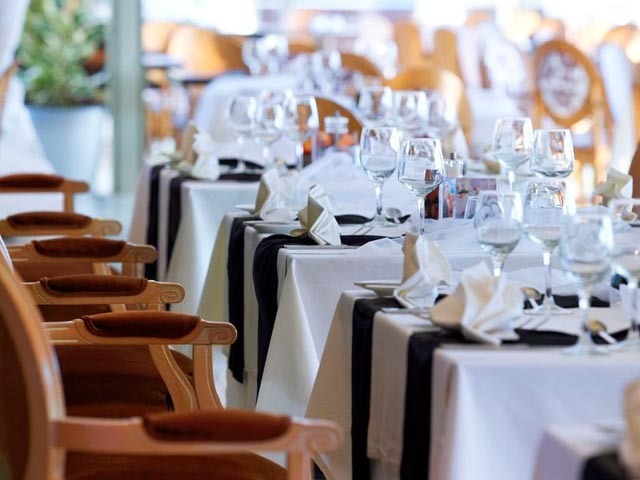 Mediterraneo restaurant: Mediterraneo restaurant is an open-air restaurant situated at the infinity pool level overlooking the blue water of the sea! 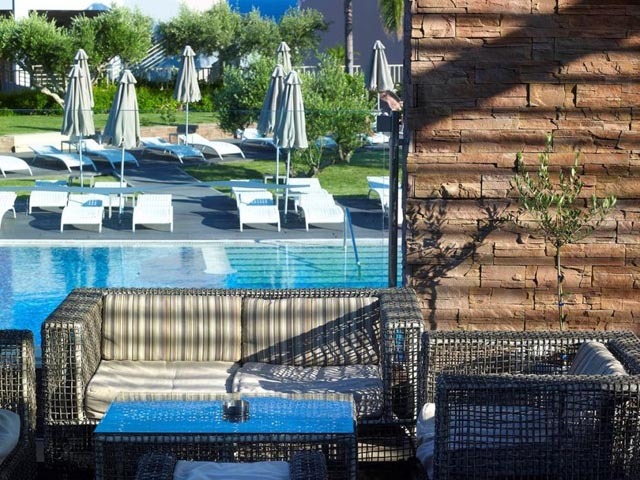 There is an indoor area and an open-air terrace for calm breakfasts, delicious lunches and romantic dinners. 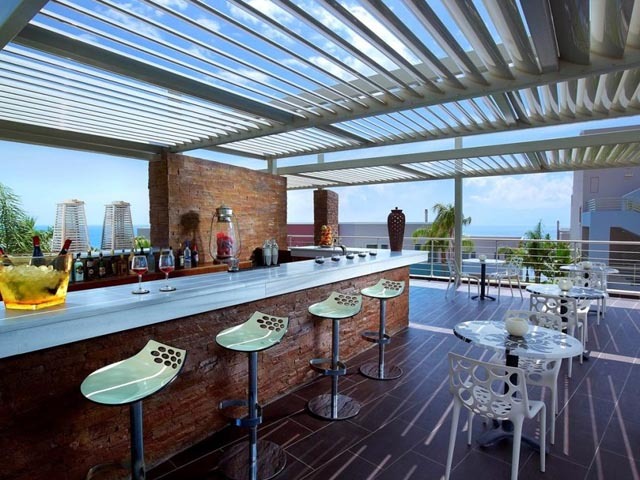 In the morning, our guests may taste a buffet style American breakfast. 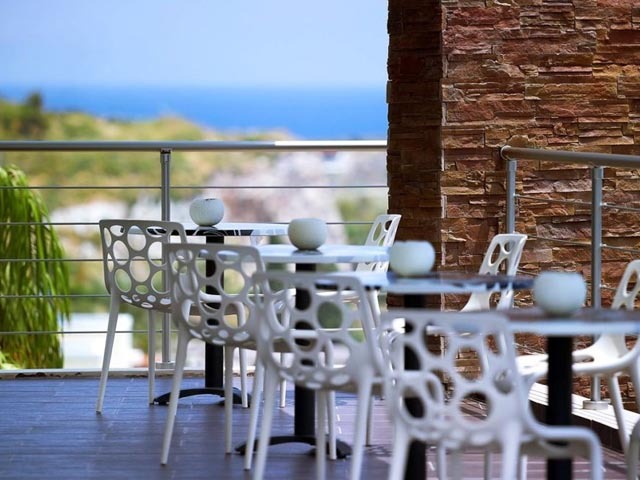 Later on, Mediterraneos menu proposes Greek and Mediterranean cuisine enriched with international classic recipes. 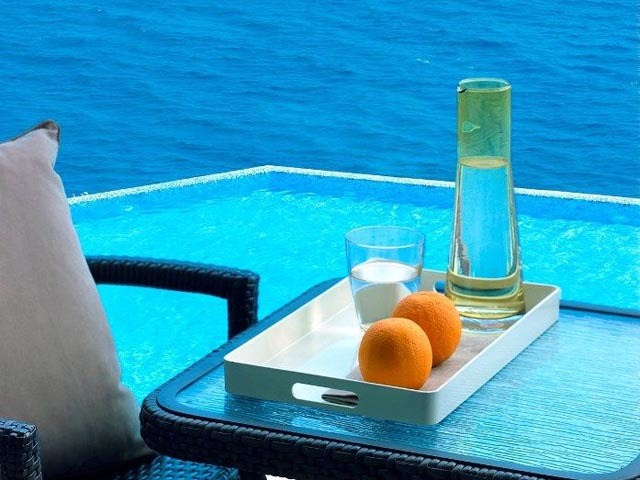 During the day a delicious snack menu is available. 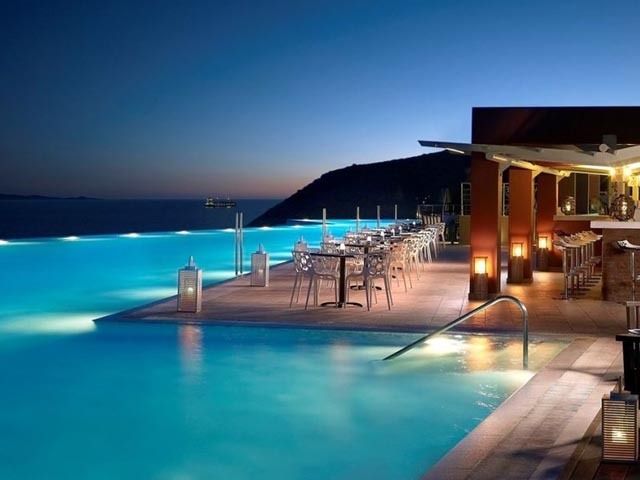 Then, when the sun has set, we suggest a romantic candlelit dinner with a wine from our wide variety of Greek and international vineyards. 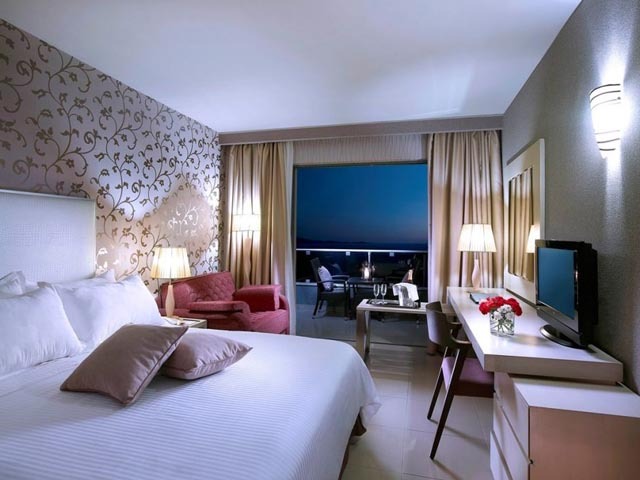 Our stylish hotel offers 42 Comfort, 50 Comfort sea view, 67 Superior sea view, 74 Premium sea view rooms and 21 Junior suites. 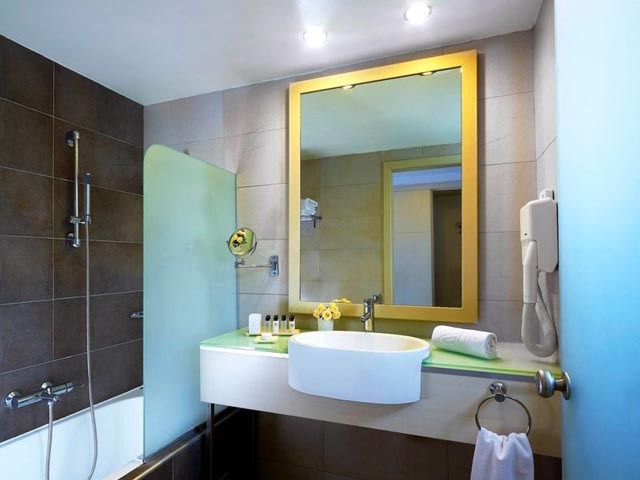 They all feature individual air conditioning unit, LCD TV with satellite reception TV channels, in-room safe box, Wi-Fi internet access, coffee & tea making facilities, first-rate bed mattress and excellent quality pillows, luxurious cotton linen, large cotton towels, cotton beach towels, bathrobes, slippers, cozy bathroom with bathtub & hairdryer, finest bathroom amenities, fridge and furnished balcony. 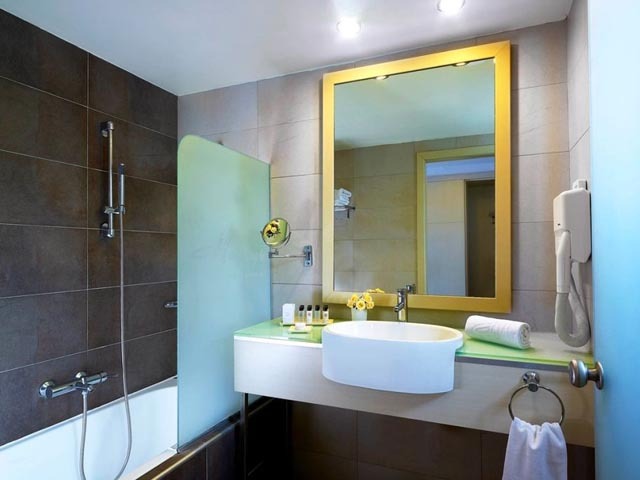 Comfort sea view: Our elegant Comfort rooms are located at the main building, on the ground floor and on the first floor of the hotel’s second row, with view to the sea or inland. 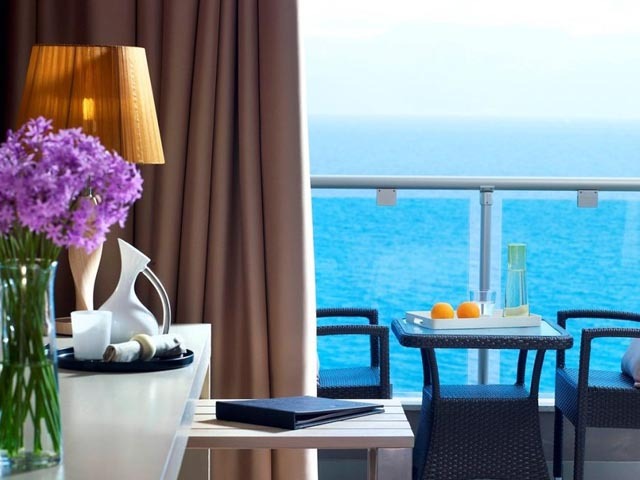 Superior sea view: Our Superior rooms offer magnificent sea view. 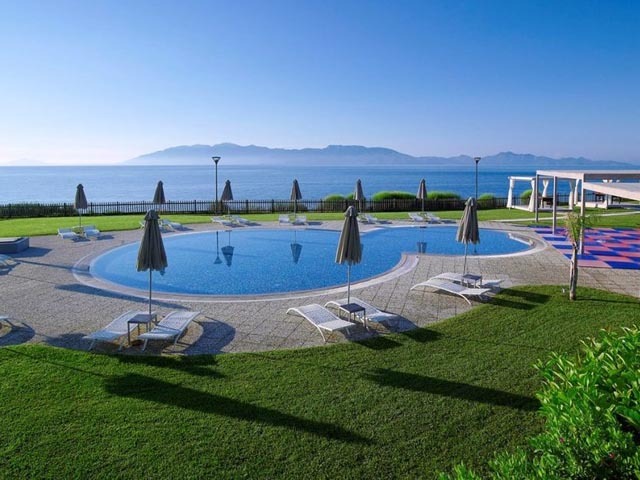 Located mainly on the second floor of the hotel’s second row they measure approximately 25 m2/269 ft2 (balcony and bathroom not included). 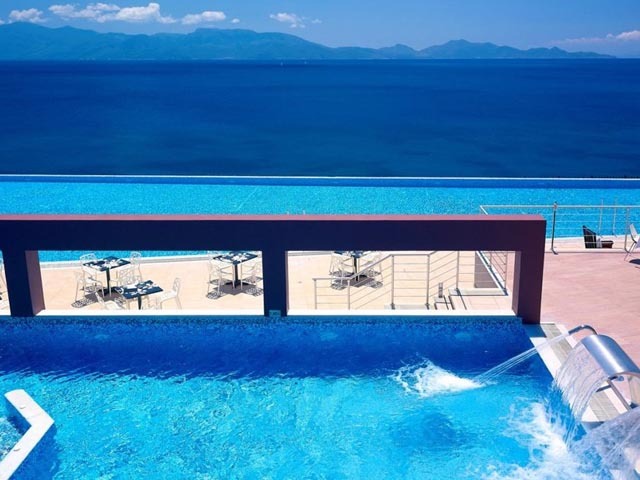 Premium sea front view: With breathtaking seafront views, in our exclusive first row above the infinity pool, Premium rooms promise to offer you an absolute experience. 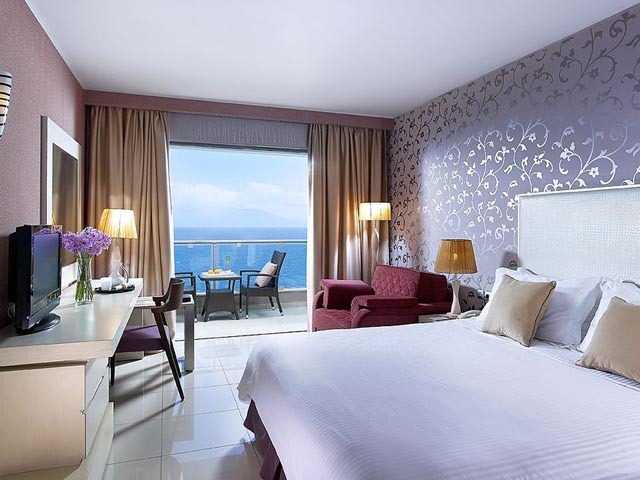 Junior sea view suite: Michelangelo Junior Suites offer a decorating style that is similar to our Premium rooms plus a more spacious sitting area and measure approximately 35 m2 / 400 ft2 (balcony and bathroom are not included). 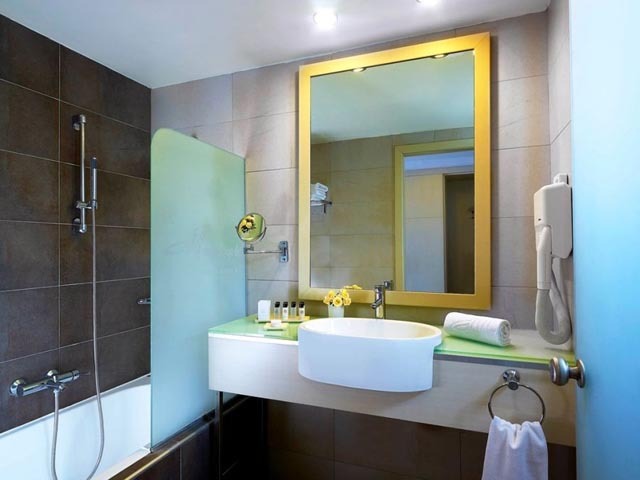 Minimum occupancy 2 adults, maximum occupancy 4 persons. 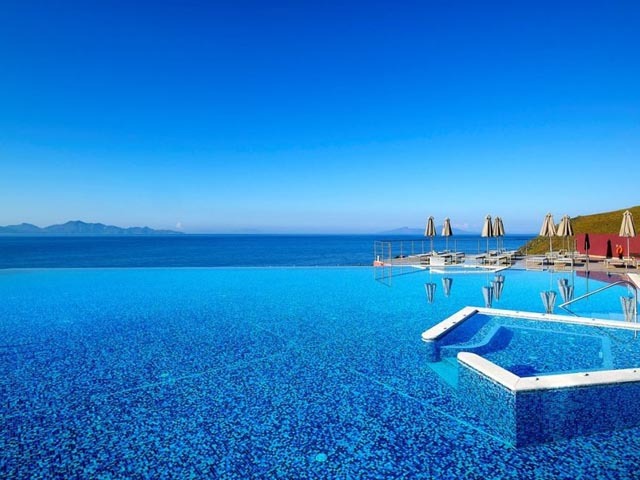 The hotel is situated in the island of Kos, Greece - in Agios Fokas Psalidi area and just before the well-known Therma hot springs, overlooking the Aegean Sea and the coast of Turkey, 35 km from Kos international airport (KGS) and 8 km from the town of Kos, its port and marina.